Halloween is every day when you set your table with these Nightmare Before Christmas Luncheon Plates. Paper plates feature an iconic image of Jack and Sally. 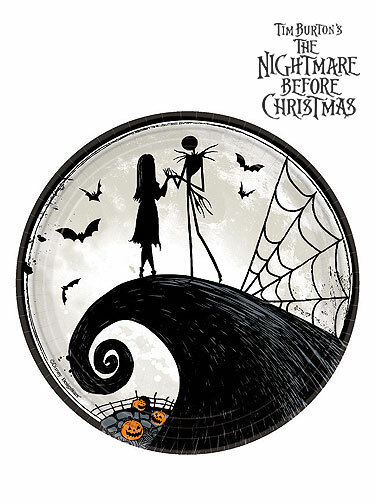 Coordinate with other Nightmare Before Christmas tableware for a complete party theme. Nightmare Before Christmas Luncheon Plates measure 9". 8 ct.